Audio Return Channel – Connects your home theatre system to display via one cable it just sounds better. Don’t deny the sound and picture you deserve. HDMI 4K Support, Supports resolutions up to 4k x 2k for crystal clear images. 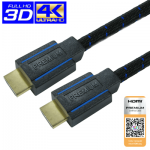 Our range of superior 4k HDMI leads are mainly used for connecting devices such as Blu-Ray players, DVD Players, Set-Top Boxes, Xbox One, PS4, Xbox 360, PS3 and other games consoles along with many other devices to an HD display screen. 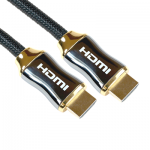 The braided outer covering on these HDMI cables adds extra protection against accidental damage ensuring a long life. 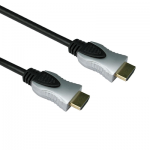 For more HDMI related product take a look at our HDMI Adapters HDMI Adaptors page or feel free to Contact Us, for more product information, other HDMI leads or for bulk discount prices.